Does the title make you think I’m crazy? I obviously know how to read, or I wouldn’t be able to create a blog, right? Well, not exactly. Most of the writing craft books I’ve studied recommend reading and reading a lot, as the best way to learn to write. Some of them even suggest that reading widely is more important to my education as an aspiring writer than practicing writing. In his Master Class, James Patterson tells his students that he read ten novels each week when he was in college. But I’ve read all my life voraciously, and I’m still not an award-winning novelist. I must be doing something wrong. I’ve always read books as a reader. I immerse myself into the story, and if it’s a good story, I begin to feel like I’m part of that fictional world. Sometimes that story world feels more real than my own life, and the last sentence in the book is an abrupt ending to a pleasant interlude that leaves me wanting more. That type of immersion is great if all you want to do is take a break from the real world for a while and enjoy a good read, but it doesn’t teach you how to write. I was confused. How was I supposed to learn to write by reading? Then I started noticing the phrase: read like a writer. What does that mean? At first, I had no idea, so I researched it. Choices? Like what type of narrator should I use? Should I use first person point-of-view (POV) or third? Those types of choices? Now it was beginning to make more sense. I constantly must make choices as I write, but it never occurred to me that some choices might give the reader more enjoyment than others. Then one night I was reading a fascinating book - I couldn’t put it down. It was the first book in a series, and when the book ended, my Kindle offered me the option of purchasing the next book in the series. Without any conscious thought my finger reached up and pushed that button, then I eagerly awaited the download so I could start reading. As I waited a question popped into my mind: What is it that makes some books hard to put down? Is it their characters, their genre, their plot? What is it? I know – the answer to that question is different for each reader. In fact, it may even be different for each book we read. I love the characters and how they interact in the Longmire Series by Craig Johnson. 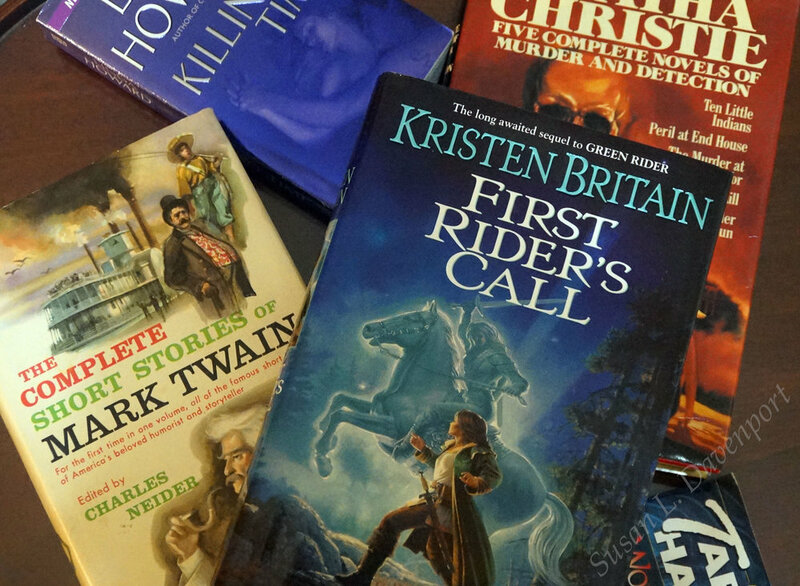 I love the depth of the fantasy world that Kristen Britain created in her Green Rider Series. Each book is unique, yet I have to believe that these books that are so good they are hard to put down must have similar traits. Now I was beginning to see possibilities. If I could identify what made books interesting and enjoyable for me to read, then I might be able to use some of those same techniques in my work. Wow. Reading like a writer sounds challenging, but the potential for learning is huge. It would be like going back to school with Mark Twain, Charles Dickens, and Stephen King as my professors. What is the author’s purpose for this piece of writing? Who is the intended audience? If I were writing this, where would I go with the story? If the author goes in a different direction (as they so often do) from what I am thinking, I will ask myself, why did they do this? What are they telling me? How effective is the language the author uses? Is it too formal? Too informal? Perfectly appropriate? Are there places in the writing that you find confusing? What about the writing in those places makes it unclear or confusing? What was powerful about the passage? What type of passage was it? Was it description, dialog, character development? Why was it powerful? Figure out why. Put it in a sentence. How did it achieve that power? What tools did the author use to make it powerful? Was it the word-choice? Was it the rhythm? Was it the viewpoint? I have read many different ‘how-to’ books on writing. All of them with good reviews and written by successful authors. Each author has a unique opinion on the best techniques to use when writing a book. This has made it difficult for me as a beginning writer to know which of them is right and which method is right for me. As I considered what I might be able to learn through reading like a writer, I realized that this method might also help me understand some of the issues that have confused me so far, so I added my own questions to the list. What genre is the work? Is the story character-based, plot-driven, or both? What structure does the author use? Three act? Four act? Six act? Something else? Who is the narrator? One of the characters? The author? An omnipotent being? How well does that work? What advantages did the author gain by using that style? What point-of-view (POV) are they using? Why did the author pick that POV? What type of sentence structure do they use? Long, elegant sentences? Short choppy sentences? A combination? How does their choice affect the work? Does their main character have a character arc? How do they grow by the end of the story? Is the story fast-paced or slow? Is there a plot arc? If there is, does it mesh well with the character arc? Do each one of the characters seem unique and have their own voice? How did the author make that happen? Dialects? Unique traits? Does the book have a theme? More than one? Is there a lesson the author wants us to learn? Does the author make me want to continue reading when I get to the end of a chapter? How did they do it? What questions would you include in your list? Leave me a comment and let me know (be sure to click the "Subscribe via email" option at the top right of the comment area so you will be notified when I reply). Learning to read like a writer will be a slow process, but it can only improve my writing skills, so the time will be well spent. How about you? Do you read like a reader or a writer? Prose, F. (2007). Reading Like a Writer: A Guide for People Who Love Books and for Those Who Want to Write Them. Harper Perennial; Reprint edition. 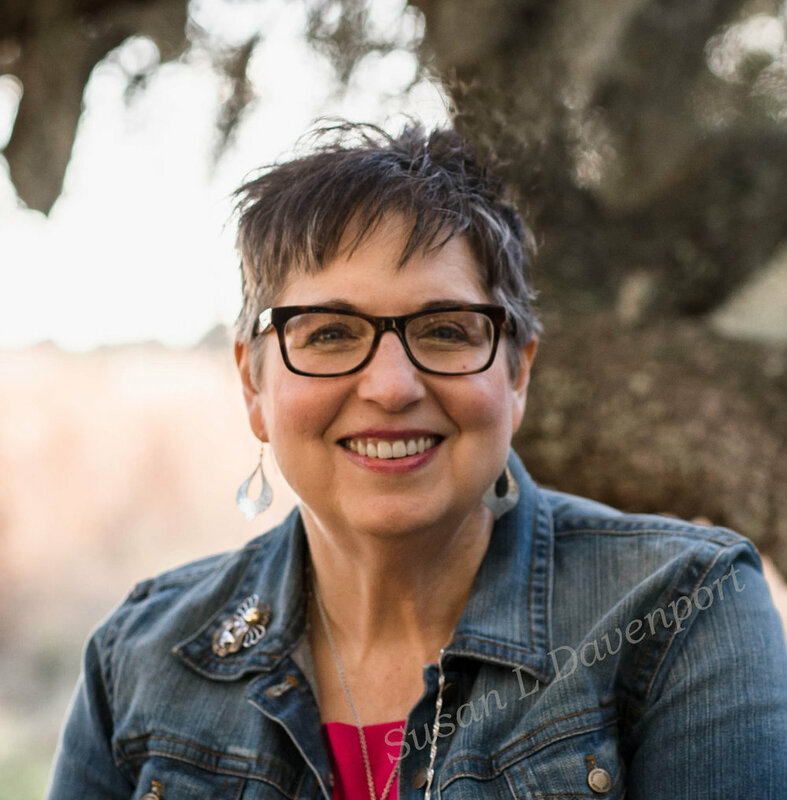 Susan L. Davenport is a full-time caregiver, aspiring writer, and dog lover. She uses life's interesting moments as stress relief from care giving and inspiration for writing. Join her as she discovers and learns about some of life's interesting moments. Welcome to my blog. Life is full of interesting challenges and experiences. I'd like to share some of mine with you. Subscribe to my newsletter with your name and email address to receive news and updates. Thank you! Check your email for a confirmation message. My name is Susan L. Davenport. I'm a full-time caregiver, writer, and nature lover. I live in the wonderful state of Texas with my husband and my dog, Toby. If you would like to know more about me, check out the About Me page on this website. I respect your privacy. I will not share your private information with anyone, except Mailchimp, the company who manages my newsletter subscriptions. Thank you! Be sure and check your email for a confirmation message.